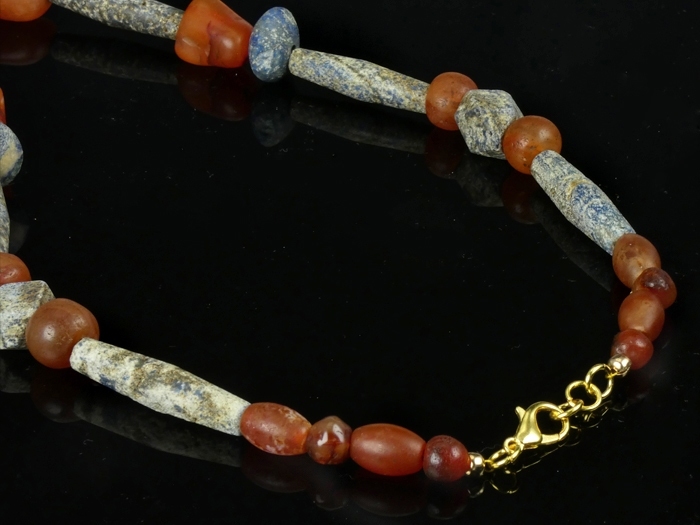 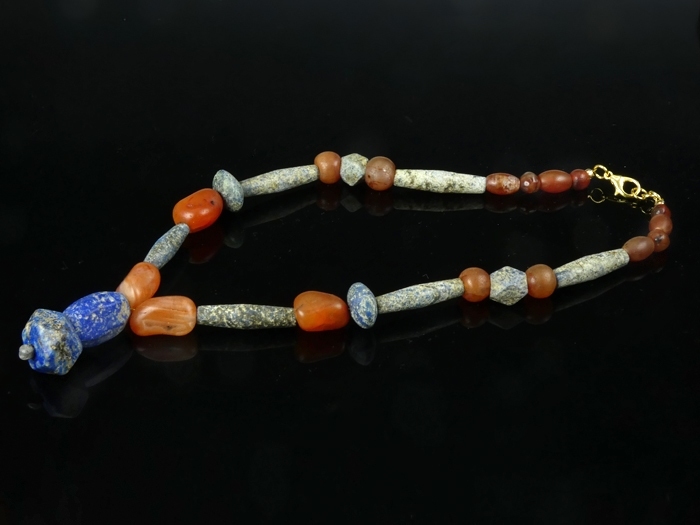 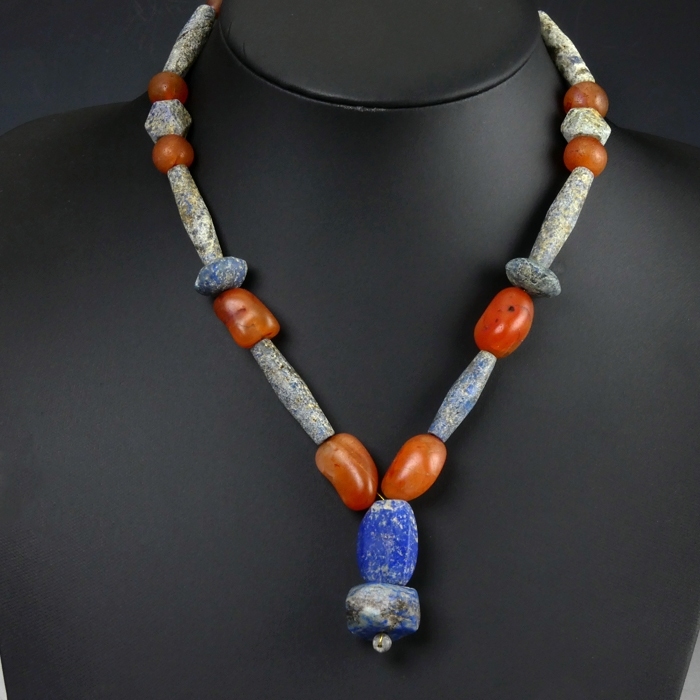 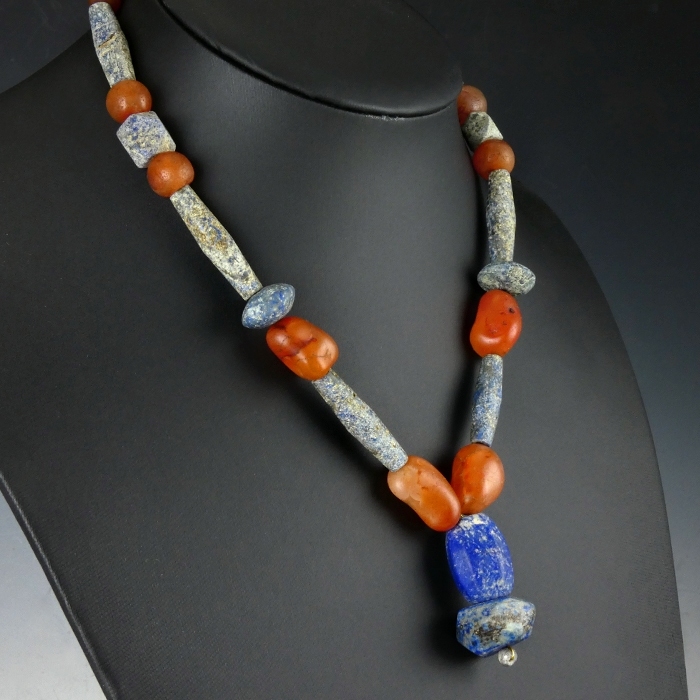 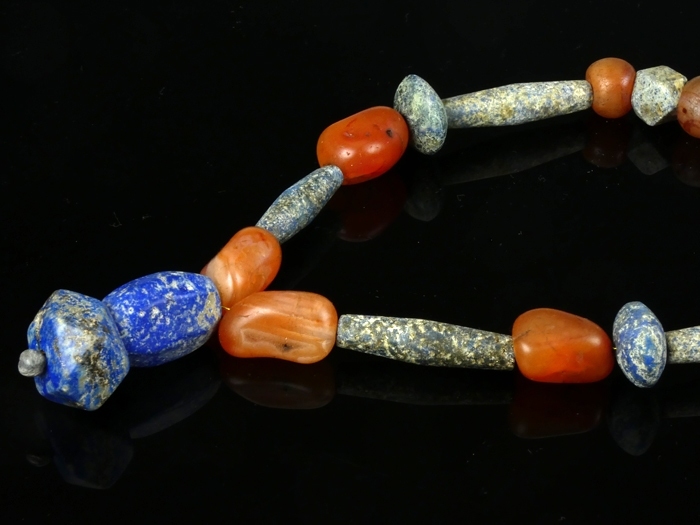 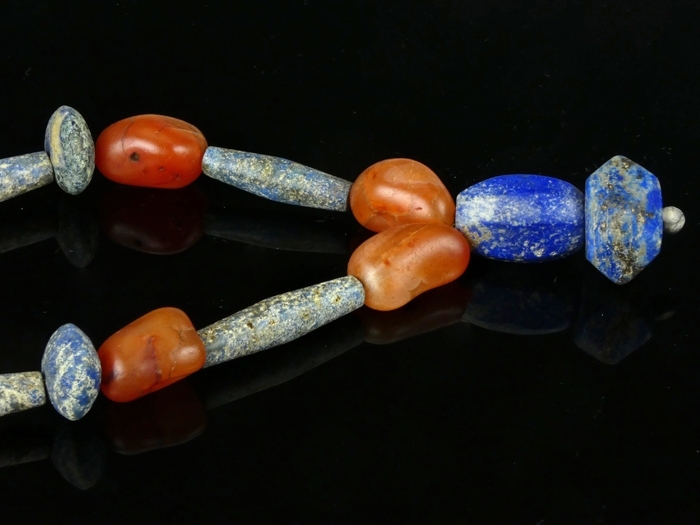 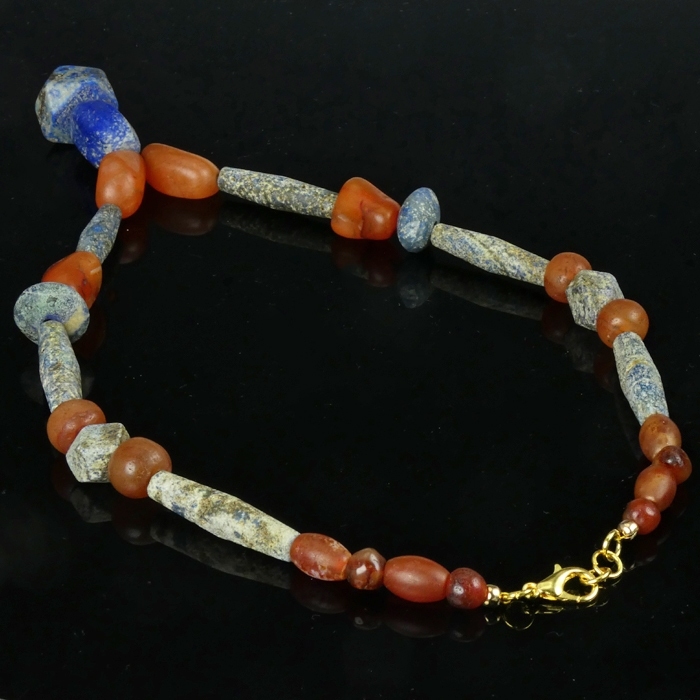 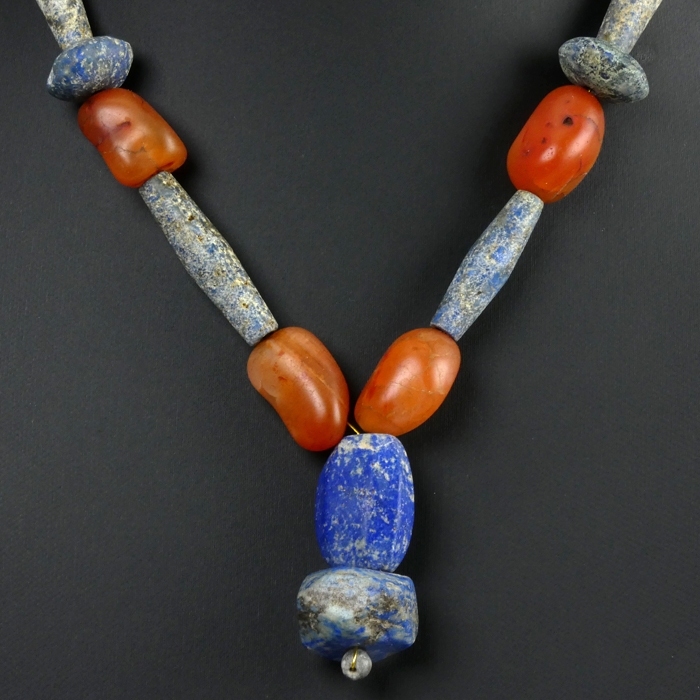 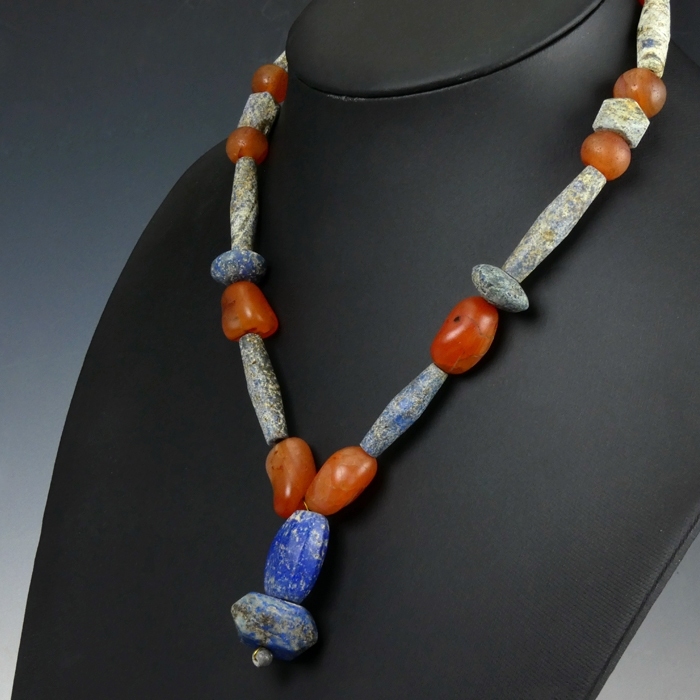 Necklace with ancient lapis lazuli and carnelian beads. 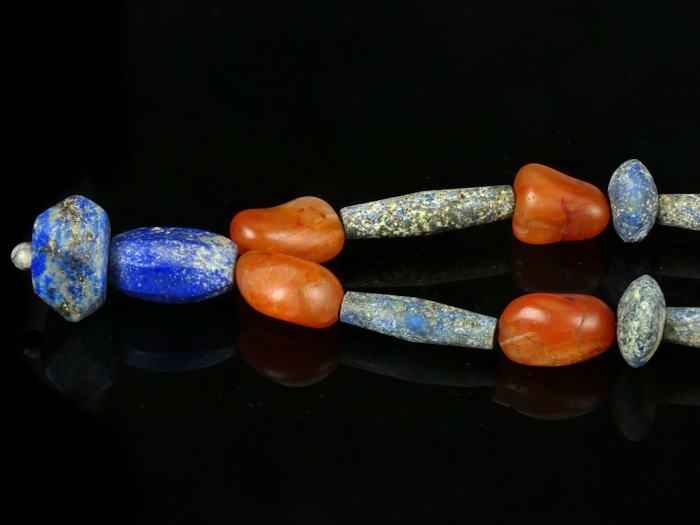 Beautiful and chunky beads in various forms, including globular, tubular and faceted beads. 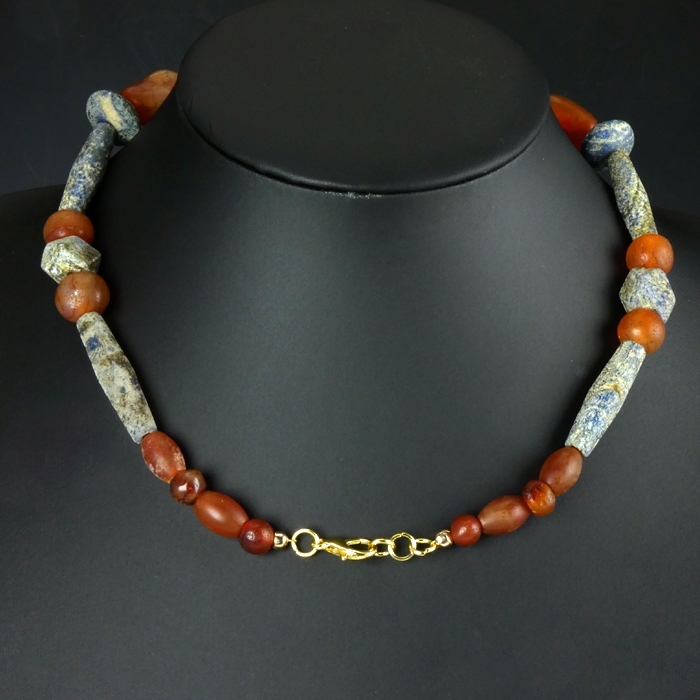 Restrung with authentic ancient beads in a new setting and wearable (clasp).